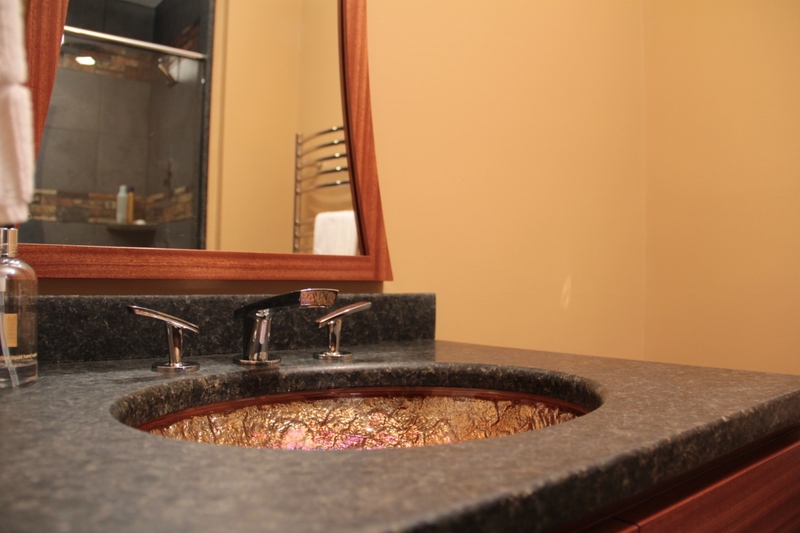 This small Guest Bathroom was a dull place before our renovation. 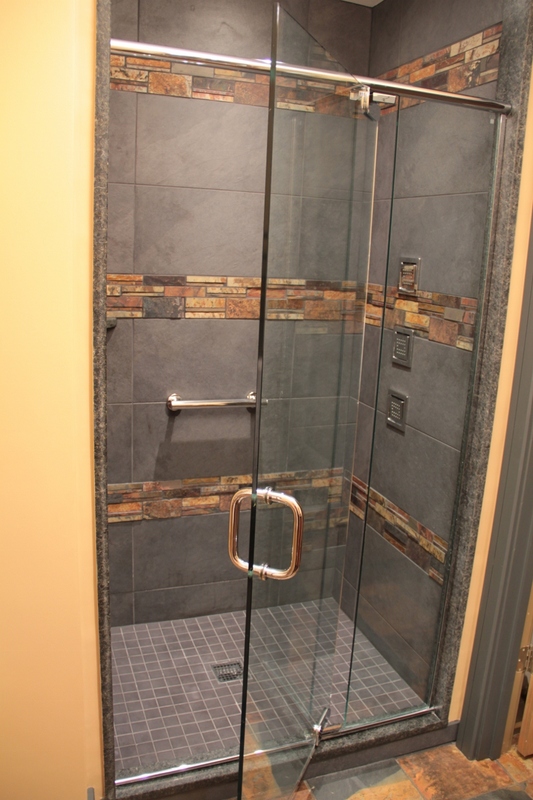 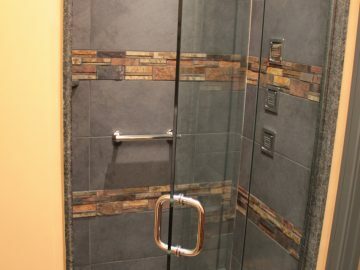 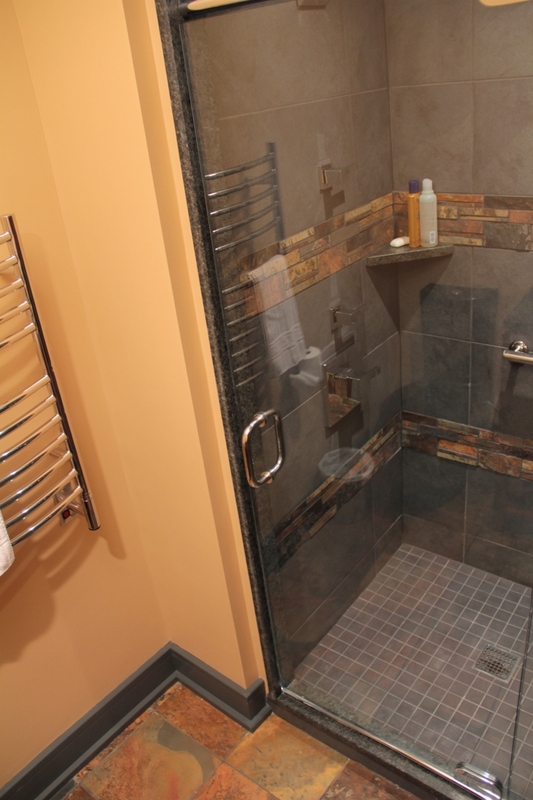 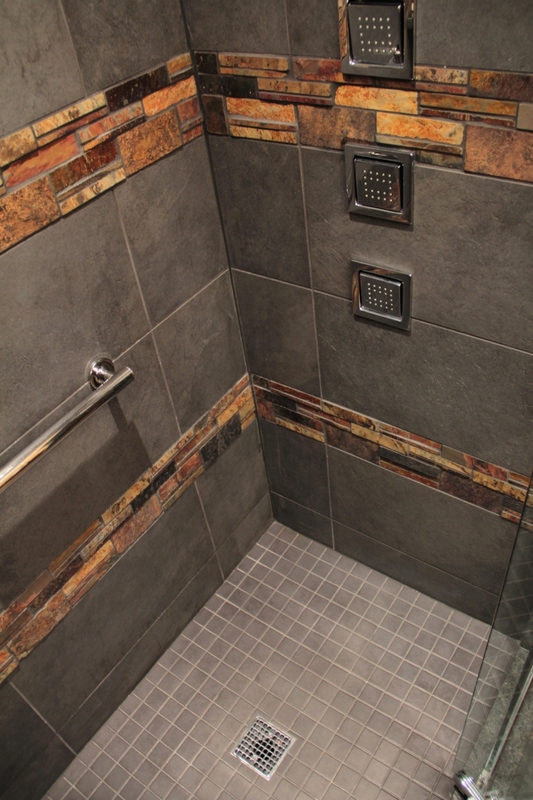 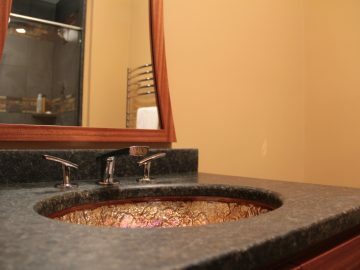 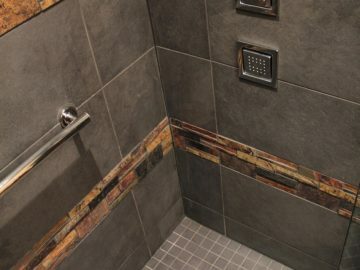 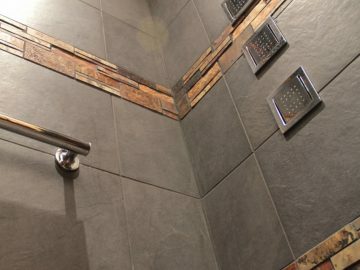 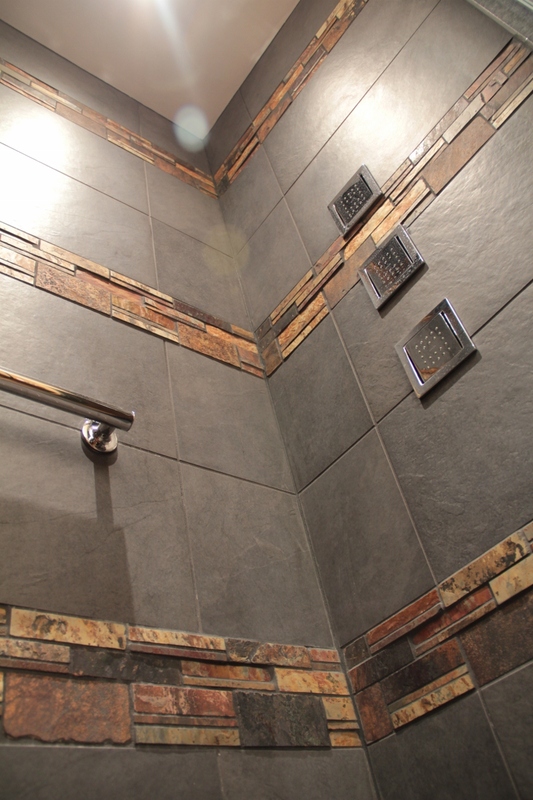 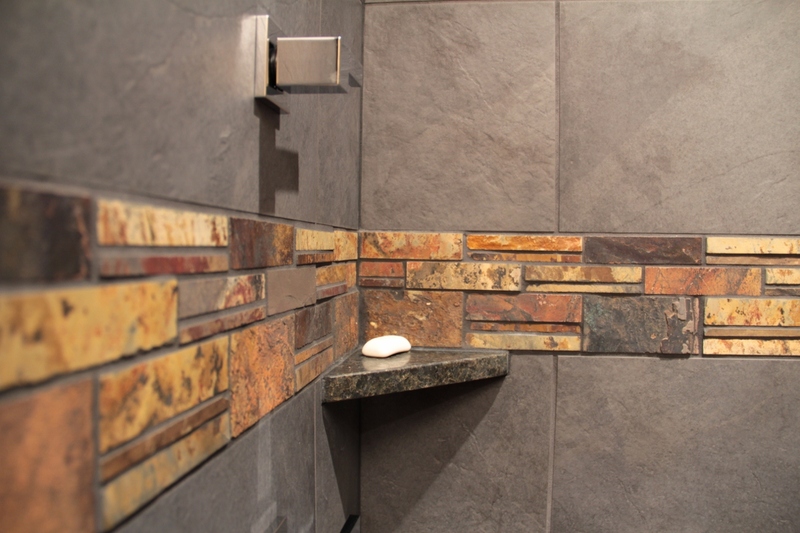 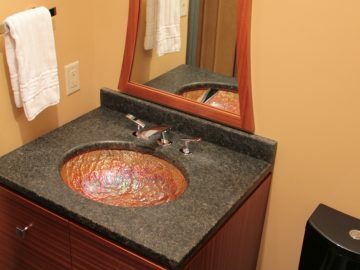 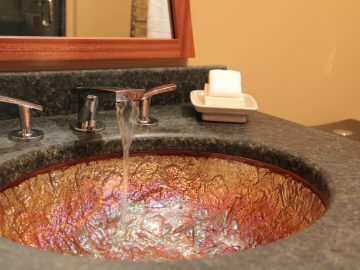 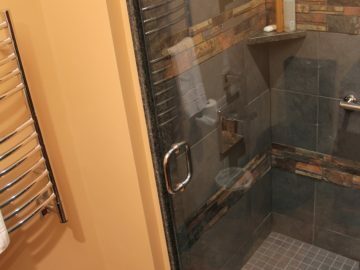 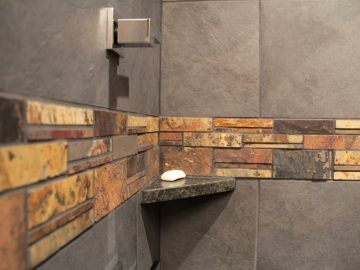 Slate tile and Polished chrome fixtures recharged this space. 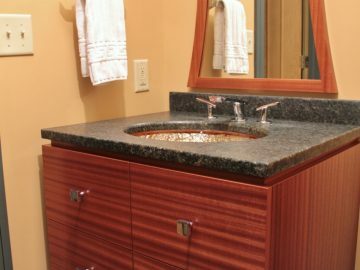 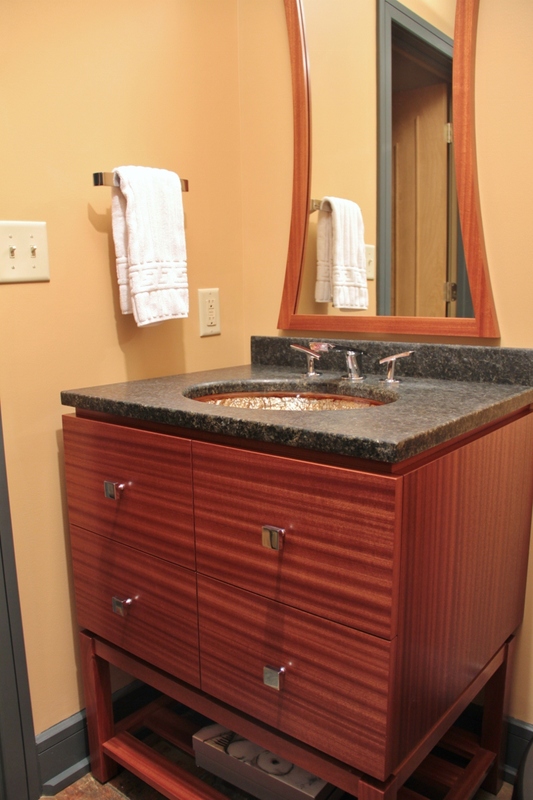 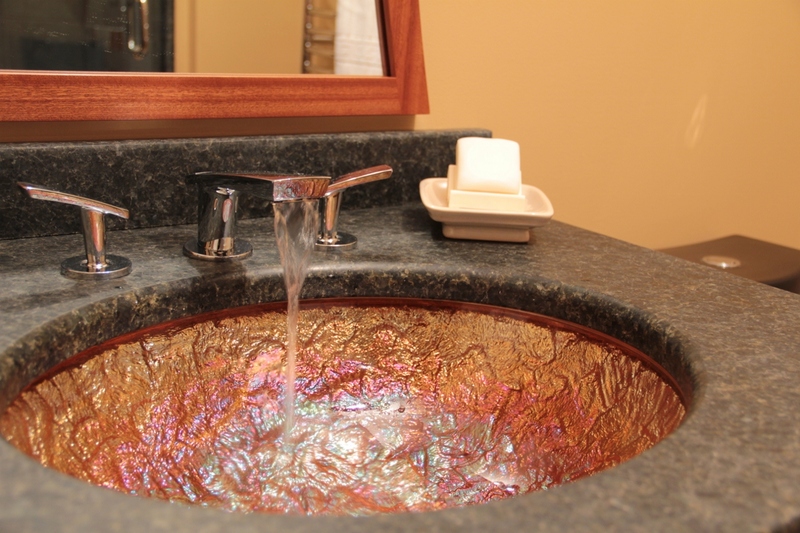 Small details like the glass sink bowl and exotic wood vanity really bring in new life. 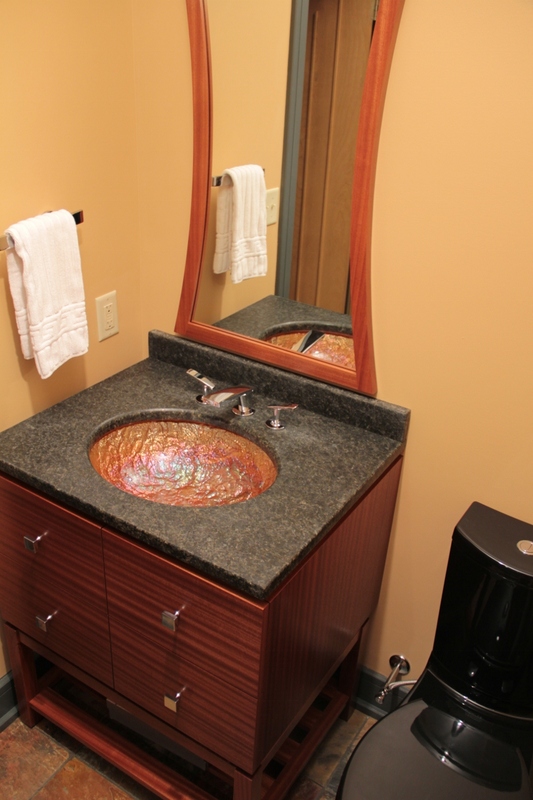 Guests would be happy pampering themselves here for the weekend.